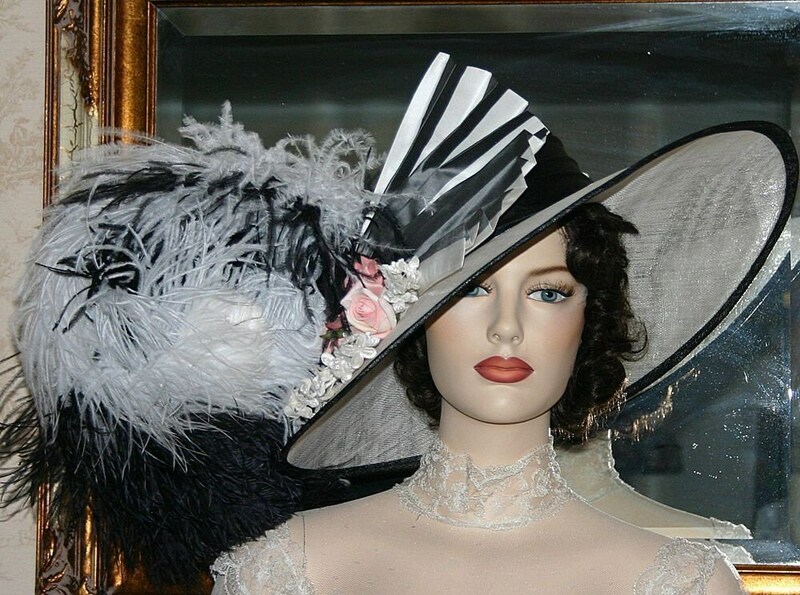 Ascot Hat "Fair Lady" a perfect hat for the Kentucky Derby too! I originally designed 6 of this style and didn't plan on making more...when I announced that I was no longer going to make this design...I had an outcry from gals who said that they dreamed of ordering it someday. 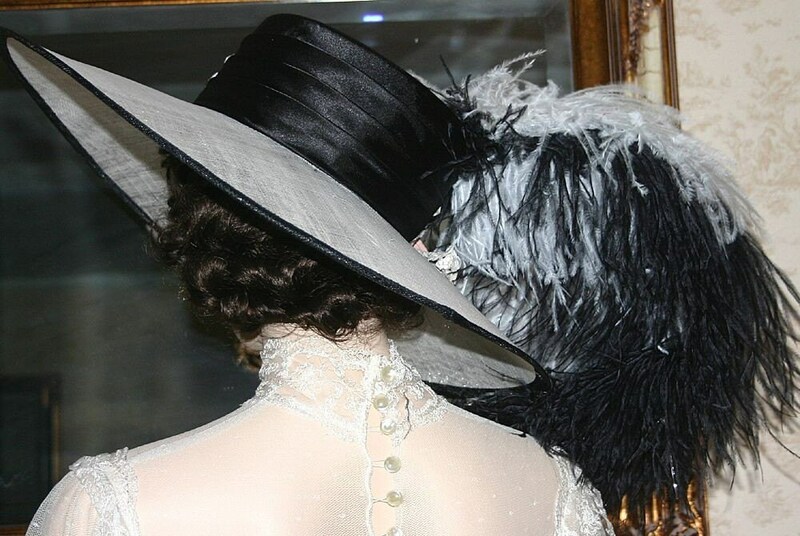 I've made up enough hat bases for 6 more...so If you've been thinking about buying this hat...now is the time before they're officially gone. 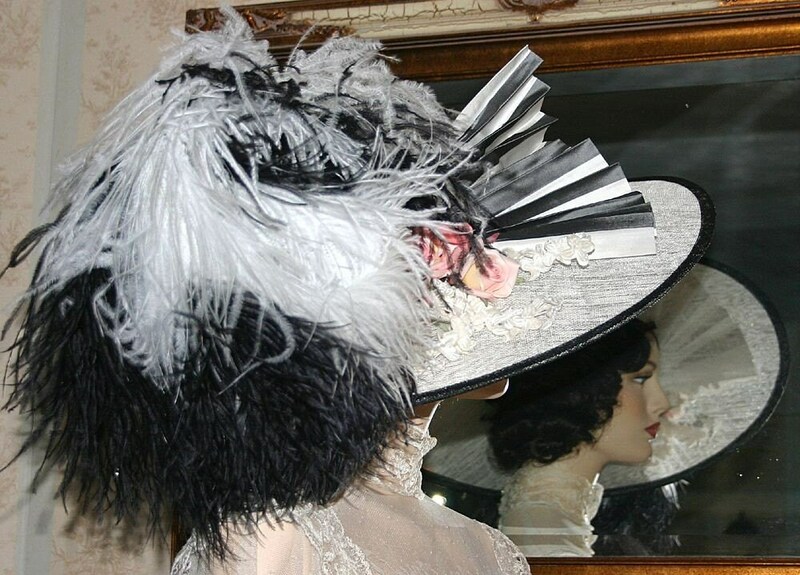 It's inspired by the movie "My Fair Lady" starring Audrey Hepburn is designed over a white sinimay or sinamay hat trimmed with black satin over the crown. 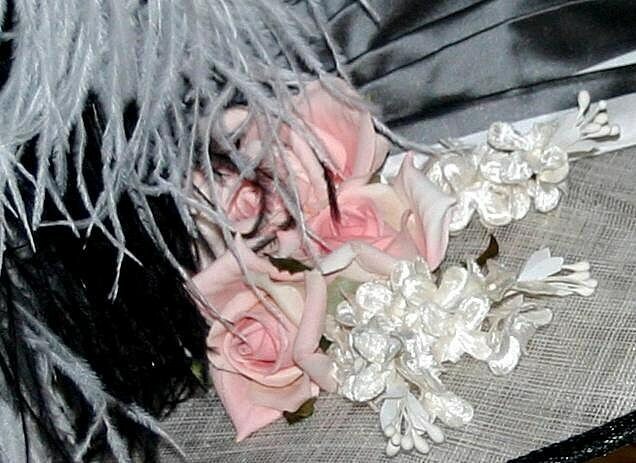 It's accented with five beautiful black and white ostrich feathers, pink roses, white velvet lilacs and charcoal striped silk. 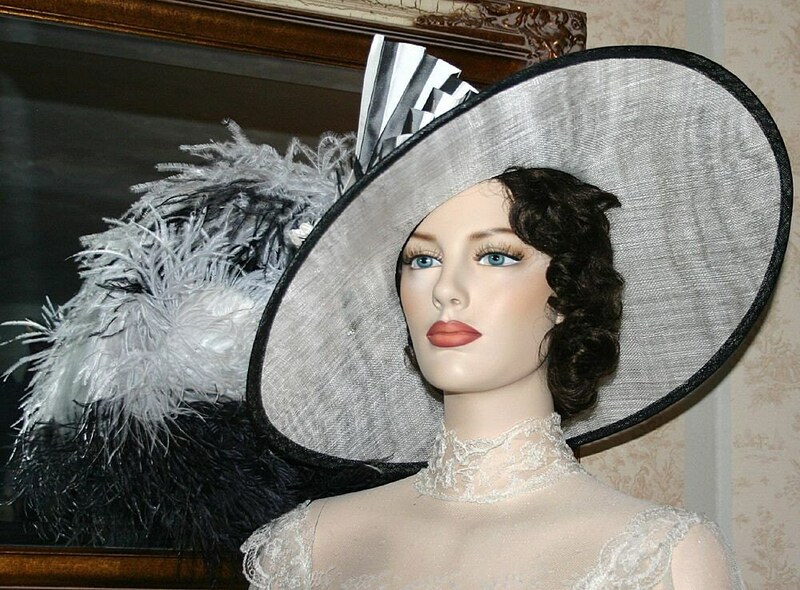 Very Elegant and perfect for the Kentucky derby or any event that you want to stand out in the crowd.